Have a read at what our Skills for the Future trainee Jennifer Lightbody has been getting up to this month in her Audio Visual project! The summer has flown by and I now only have a few weeks left of my traineeship – I can’t believe how quickly it’s gone! The main focus of my work this month has been getting the fashion show films into Archon, the Archives & Collections’ online catalogue. For the five years we have fashion show films, over 110 different staff and students have been identified as having participated, so I have researched and written a biography for each of them. I really enjoyed doing that, and found some famous faces in amongst the models. Andy Scott of Kelpies fame and Jilli Blackwood who designed the Team Scotland 2014 Commonwealth Games tartan, for example, both modelled in the fashion shows in the 1980s. 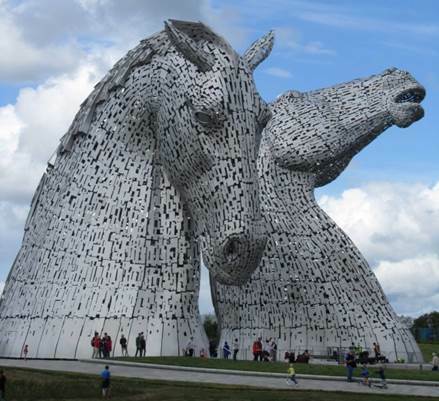 “The Kelpies” designed by Andy Scott. Image courtesy of Ross Lightbody. 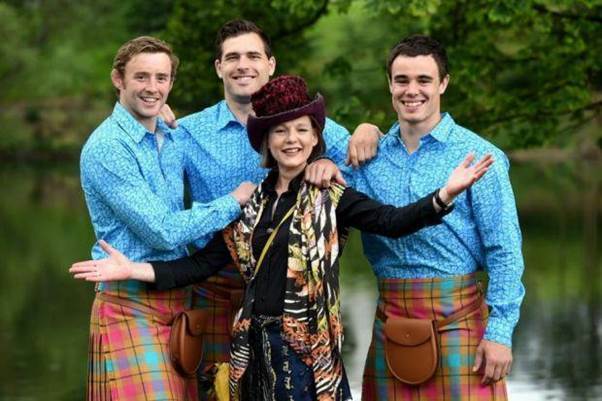 Jilli Blackwood with her designs for Team Scotland’s Glasgow 2014 Commonwealth Games uniform. Image courtesy of The Herald. I have been learning how to use Archon and have created a structure for audiovisual films which contains the fashion show films, under the reference GSAA/AV. These have all been described, with still images incorporated alongside each entry, and all subjects linked, including the biographies of the students who modelled. There is also a link to a short clip of each film on Vimeo, to whet appetites. Visitors can come into the Whisky Bond to watch the full length films. 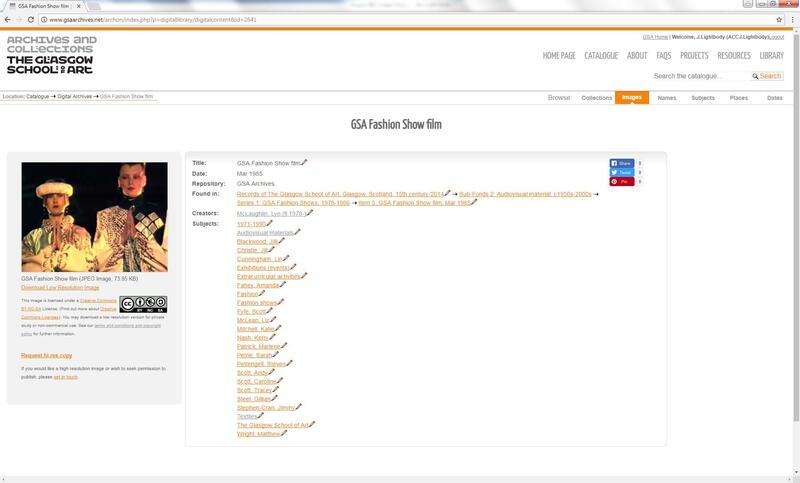 The entry for each fashion show film has an image and links to biographies of students involved in the show. Tying in with the fashion shows, I shadowed Susannah (GSA’s Archives and Collections Manager) to conduct an oral history interview with a GSA alumna. She studied at GSA in the 1950s and modelled in two of the fashion shows in that era, so it was great to hear all about her experiences. There’s so much information that you can’t find from photographs or more formal documents, so the oral history interview gave a great insight into her time here. The interview will now be processed and transcribed in order to make it available to researchers. The Oral Histories page here lists all the interviews we hold. 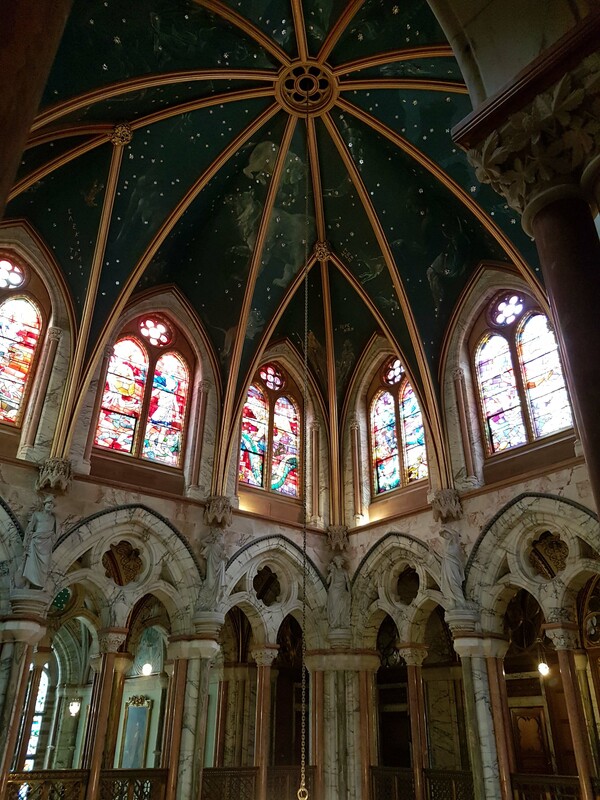 Last week I visited the beautiful Mount Stuart Archives on the Isle of Bute, hosted by their archivist Lynsey Nairn. Lynsey kindly showed me round the archives and libraries, and I was surprised by the huge number of documents, books and drawings pertaining to just one family. Mount Stuart Archives hold the original drawings for the stained glass windows depicting the signs of the zodiac. I had never been to the archives of a private collection before so it was really interesting to find out how their collections are used by visitors, how they are loaned and also the wide variety of material held. Lynsey also showed me some of their ‘treasures’, including a Shakespeare first folio and an account of the execution of Mary Queen of Scots. The house itself is a beautiful place to be based, and it must be amazing to be immersed in the family history in your day-to-day job. 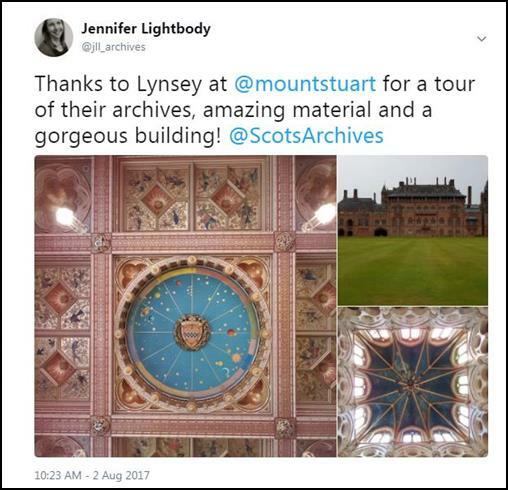 I have been posting on Twitter about my archive visits and more, so you can catch up with what I’m doing at @jll_archives. My photos on Twitter don’t do justice to the house at Mount Stuart! Next week, the trainees will meet up again for our farewell event, where we will all present on our traineeship and take part in a feedback session involving hosts and some trainees from previous cohorts. It will be lovely to hear about what everyone has been doing but it will also be strange to finish up!